The Wind Power Finance & Investment Summit is widely recognized as the leading gathering place for wind industry deal makers, or as one past event attendee called it – “the highest quality of industry participants on the conference circuit.” Each year, the industry’s leading developers, investors, lenders, turbine suppliers, EPCs and other players gather to gain valuable insights into industry trends, get the latest market update on the finance and investment landscape, and efficiently schedule rounds of private meetings. The Summit attracted nearly 700 people in 2018 and, with the PTC driving historic industry activity, the 2019 Summit will again offer up the best available opportunity to stay ahead of the market, meet the industry’s leading players and get deals done. 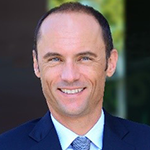 The Pre-Summit Executive Briefing – Wind Origination and Development Landscape – will provide executives with an incisive assessment of the wind power origination and development landscape. The briefing will serve as a great source of information for shaping your organization’s strategic direction. 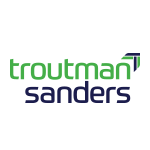 For Regulated Utilities and Government pricing, click here. 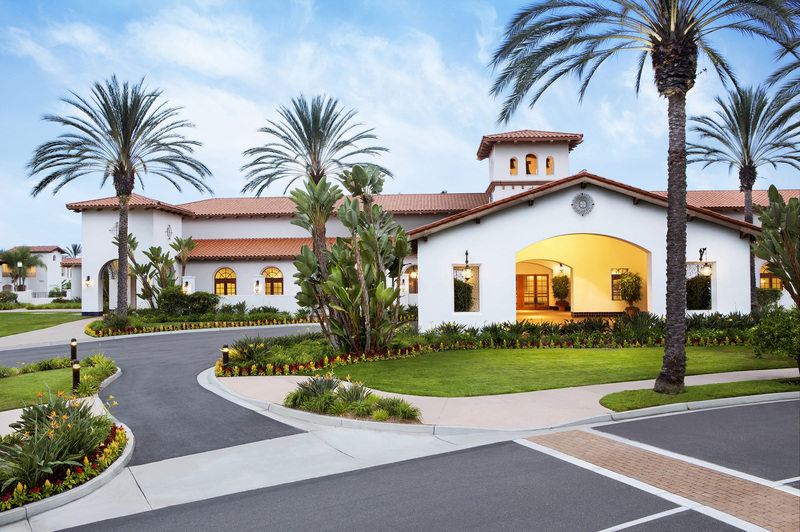 *The hotel will offer a shuttle between the Courtyard and the Omni La Costa on a first-come, first-served basis. **If you need a reservation after the cutoff date, please call the front desk at (760) 431- 9399. ***WARNING: Please do not book any guest rooms with 3rd Party Housing Companies for this event. Infocast does not partner with outside housing companies, so we advise that you only book guest rooms at the hotel using the details provided above. 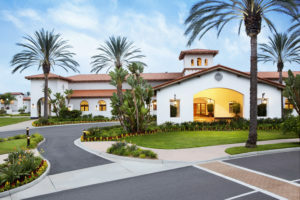 *A shuttle will be available once in the morning and once in the afternoon to and from the Omni La Costa Resort & Spa. Specific times to be announced. 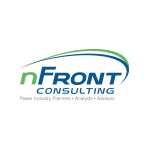 nFront Consulting brings together experienced Power Industry Consultants who provide high-quality, creative and strategic solutions to complex energy issues. Our team members bring extensive energy industry consulting and management experience to each assignment, including support to wind and solar developers, lenders, tax equity and mergers and acquisition. Each team member has demonstrated the exceptional capability, experience and commitment required to provide the assistance our clients need to successfully address today’s increasingly complex challenges. 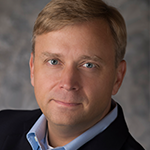 nFront Consulting’s Transmission and Delivery Services Practice provides independent transmission consulting, security constrained economic dispatch basis, congestion and curtailment analyses and advisory services. Other services include transmission planning, resource integration, and open access, expert witness and regulatory services. 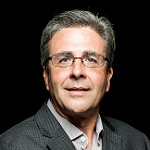 We partner in strategic, financial, risk, planning and analytical assessments with generation and transmission developers, utilities, financial institutions, equity investors, and transmission owners. Apex Clean Energy is an independent renewable energy company focused on building utility-scale generation facilities. Apex is constructing one of the nation’s largest, most diversified portfolios of renewable energy resources, capable of producing more than 12,000 MW of clean energy. This year, Apex is bringing five new U.S. wind energy facilities online, comprising 1,161 MW of capacity. Apex will provide asset management services on four of these facilities. 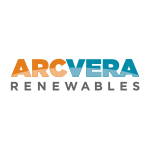 ArcVera Renewables was formed in March 2017 through the merger of V-Bar, LLC and Chinook Wind, LLC. 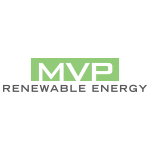 The company provides consulting and technical services for wind and solar energy across the project-lifecycle, including prospecting, resource assessment, independent engineering, financing and plant optimization. 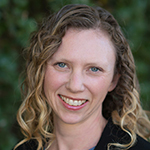 Its team of atmospheric scientists, data analysts, and engineers leverage their advanced technical expertise and decades of global experience to meet the needs of landowners, project developers and sponsors, investors, and project owners and operators. 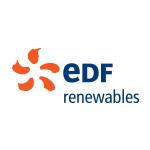 We lead our renewable energy clients to confident decisions and maximum advantage by delivering accurate and trustworthy insights. For more information, please visit: www.arcvera.com. 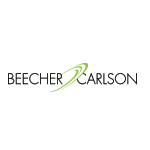 Beecher Carlson’s Energy Practice is a proven global leader in the renewable energy sector, providing the most competitive insurance options and risk management solutions available in today’s marketplace. 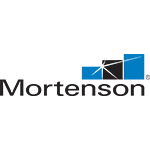 Goldwind Americas, headquartered in Chicago, is among the world’s leading and most innovative wind turbine manufacturers and energy solutions providers. A subsidiary of Xinjiang Goldwind Science & Technology Co., LTD, Goldwind’s revolutionary Permanent Magnet Direct-Drive (PMDD) wind technology is leading the transformation of the wind industry to a more efficient cost of energy. 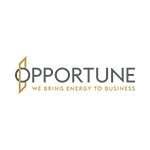 Goldwind Americas’ develops a full suite of wind power solutions, including sales, service and manufacturing platforms, research and development, and project financing. Goldwind Americas fosters a steadfast commitment to exceptional quality, service and safety, further proof of our long-term approach to renewable Energy Everywhere. 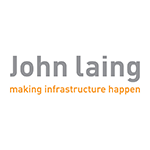 John Laing is an international originator, active investor and manager of infrastructure projects. Its business is focused on energy, transportation, social and environmental infrastructure projects across a range of international markets including the UK, Europe, Asia Pacific and North America. 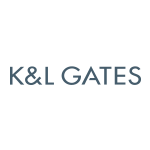 K&L Gates is a fully integrated global law firm with lawyers located across five continents. Our delivery of legal services is supported at both the individual office level and through nine firmwide practice areas: corporate and transactional; energy, infrastructure and resources; finance; financial services; intellectual property; labor, employment and workplace safety; litigation and dispute resolution; real estate; and regulatory and policy. Our broad global platform allows us to guide clients through the legal challenges inherent in the ever-changing international landscape. Our clients include leading global corporations in every major industry, capital markets participants, and ambitious middle-market and emerging-growth companies. Our lawyers also serve public-sector entities, educational institutions, philanthropic organizations, and individuals. We are leaders in legal issues related to industries critical to the economies of both the developed and developing worlds — technology, manufacturing, financial services, health care, and energy, among many others. Leidos advises clients in the global energy industry so they can achieve better business outcomes in a connected world. 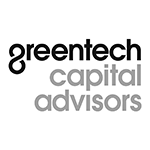 We apply technical, commercial, and regulatory expertise to support the development, financing, restructuring, and acquisition of capital-intensive energy assets. Our experts work alongside financial and developer clients to take on complexities when creating, deploying, and financing innovative technologies. 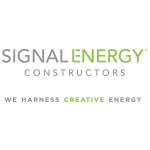 Our capabilities span independent engineering, energy market consulting, transmission analysis, and owner’s advisory services for thermal and renewable generation, biofuels, oil and gas infrastructure, and emerging energy solutions. Lincoln Clean Energy (LCE) is a leading developer of U.S. wind and solar projects with offices in Chicago, IL and Austin, TX. Since 2011, LCE has developed over 1,500 megawatts of renewable power projects in California, New Jersey, and Texas. 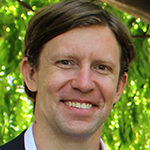 LCE is a portfolio company of I Squared Capital and expects to deploy up to $250 million in equity investments through 2018. For more information, visit: www.lincoln-clean-energy.com. Incorporated in 1954, Mortenson Construction is a privately held, Minneapolis-based, family owned organization built on strong values and a commitment to making a difference in the communities in which we work. 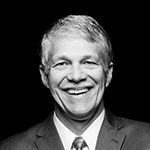 Mortenson has been building construction projects for over 60 years and has built a reputation for being a solid, progressive company and a socially responsible leader. Having secured over 3,000 megawatts of solar energy facilities, Mortenson has proven to be a reliable and bankable EPC partner. Our expertise in energy modeling tools combined with our self-perform capabilities keep us focused on delivering the lowest cost of energy over the life cycle of your projects. By creating a culture of innovation, we are able to accelerate the delivery of your projects—while providing an exceptional customer experience. 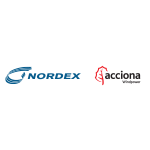 The Nordex Group has installed more than 21 GW of wind energy capacity in over 25 countries. The product portfolio of the group is focused on multi-megawatt onshore turbines with rated power from 2.4 to 4.5 MW and rotor diameters up to 149m for nearly all geographical regions: From grid-constrained, land constrained, unrestricted projects to sound restricted and very complex terrains. Anti-icing system, cold climate versions, a dense service network, preventive maintenance and end-to-end modernization are also part of the company’s offer. 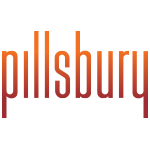 Pillsbury is an international law firm with a particular focus on the energy, financial services, technology &amp; media, real estate &amp; construction, and travel & hospitality sectors. Recognized by legal research firm BTI Consulting as one of the top 20 firms for client service, Pillsbury and its lawyers are highly regarded for their forward-thinking approach, their enthusiasm for collaborating across disciplines and their unsurpassed commercial awareness. That’s how we have achieved the 12th-highest percentage of Chambers-ranked lawyers among all AmLaw 100 firms. 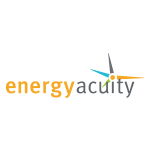 REsurety helps wind project developers and owners solve the challenge of generation volume and energy price uncertainty through the quantification and transfer of revenue risk. Through the structuring and ongoing settlement of revenue hedging contracts, REsurety enables wind projects to efficiently and confidently transact with the world’s leading risk market counterparties. The result is an unprecedented level of certainty and control over a project’s financial performance, improving access to development capital. REsurety is registered as a Commodity Trading Advisor and Introducing Broker with the Commodity Futures Trading Commission and is a member of the National Futures Association in such capacities. The company is based in Boston, MA. 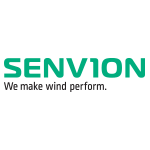 Senvion USA Corp. is a division of German-based Senvion S.A., one of the world’s leading turbine manufacturers in the wind energy sector and a pioneer in the offshore business. Senvion’s mission is to provide the latest wind energy technology, at the lowest cost possible. The company contributes to the local economy by providing long-term employment and creating local supply chains wherever possible. Senvion has an installed capacity of over 1,200 MW across the United States, which represents hundreds of wind turbines across the Pacific Northwest, California, Alaska, Indiana, Michigan, New York, Pennsylvania, Oklahoma and Minnesota. 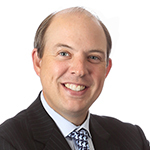 Senvion is owned by Centerbridge Partners, a New York-based private equity firm. 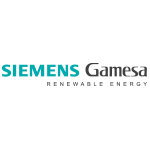 With more than 35 years’ experience and a worldwide installed capacity of over 82 GW, Siemens Gamesa Renewable Energy is a global technological leader in the wind industry with a presence in more than 70 countries. Its end-to-end value chain expertise encompasses onshore and offshore wind turbine design, manufacturing, installation as well as cutting-edge service solutions. We strive to provide the best technological offer for each project, while driving down the Levelized Cost of Energy to ensure the best long-term returns. 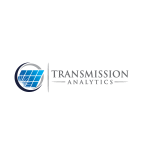 Transmission Analytics Consulting, LLC (“Transmission Analytics”) is a consulting services company providing specialized transmission system related services to a wide variety of clients within the electric power industry. 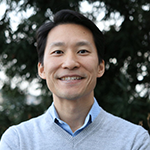 The consultants of Transmission Analytics are leaders in the space helping to shape industry standards related to the methodologies and standards of practice related to transmission analysis and due diligence. Our consultants have extensive experience in addressing the unique aspects of a variety of different generation resource types and have developed trusted methods and procedures to assess each resource type. Vestas is the energy industry’s global partner on wind power solutions. We design, manufacture, install, and service wind turbines across the globe, and with more than 76 GW of wind turbines in 75 countries, we have installed more wind power than anyone else while delivering industry-leading reliability and availability. Through our industry-leading smart data capabilities and unparalleled 63 GW of wind turbines under service, we use data to interpret, forecast, and exploit wind resources and deliver best-in-class wind power solutions. Together with our customers, Vestas’ more than 21,700 employees are bringing the world sustainable energy solutions to power a bright future. 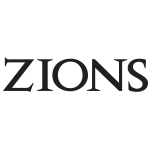 Zions Bancorporation is one of the nation’s premier financial services companies with total assets exceeding $65 billion. Zions operates under local management teams and distinct brands in 11 western states: Arizona, California, Colorado, Idaho, Nevada, New Mexico, Oregon, Texas, Utah, Washington and Wyoming. 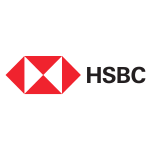 The company a consistent top recipient of Greenwich Excellence awards in banking. 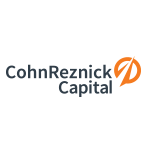 In addition, Zions is included in the S&P 500 and NASDAQ Financial 100 indices. 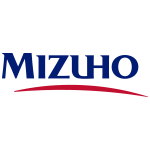 Investor information and links to local banking brands can be accessed at zionsbancorporation.com. GE Energy Financial Services’ experts invest globally across the capital spectrum in essential, long-lived, and capital-intensive energy assets that meet the world’s energy needs. 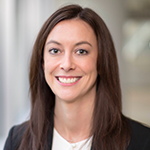 In addition to capital, GE Energy Financial Services offers the best of GE’s technical know-how, technology innovation, financial strength, and rigorous risk management. 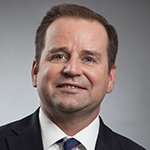 Based in Stamford, Connecticut, the GE business unit helps its customers and GE grow through new investments, strong partnerships, and optimization of its approximately $18 billion in assets. GE Energy Financial Services holds approximately $9 billion in renewable energy investment commitments, primarily in wind and solar. 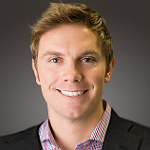 Founded in 2005, Opportune is a leading global energy business advisory firm specializing in adding value to clients across the energy industry, including upstream, midstream, downstream, power and gas, commodities trading and oilfield services. Our growth is directly attributable to the value we add to our clients. 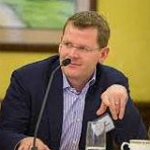 We are uniquely positioned to add this value as a result of the energy expertise of our experienced teams, which can be smaller and less intrusive. We are responsive and we are good listeners. Since we are not an audit firm, we are advocates of our clients and are not subject to the restrictions placed on other firms by regulatory bodies. Using our extensive knowledge of all sectors of the energy industry, we work with clients to provide comprehensive solutions to their operational and financial challenges. 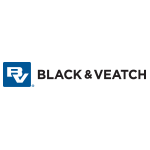 Across energy segments, our practice areas include complex financial reporting, dispute resolution, enterprise risk, outsourcing, process and technology, reserve engineering and geosciences, restructuring, strategy and organization, tax, transactional due diligence and valuation. No matter the type of project, you need an experienced team that can provide holistic corporate trust and agency services support for all aspects of the transaction. 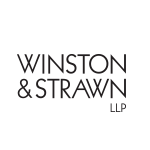 At Wilmington Trust, our keen understanding of transaction structures is supported by specific experience in executing every aspect of a deal with expertise and efficiency. 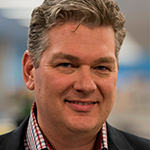 Our full-service, relationship-driven approach is why we’ve been at the table on some of the largest transactions in recent history, and our team stands ready to craft a customized approach and solution for you. For further information, contact Doug Lavelle at 212-941-4426 or Will Marder at 212-941-4418. 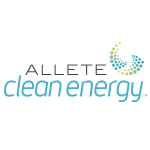 ALLETE Clean Energy (ACE), based in Duluth, Minnesota, is an independent power producer and supplier that acquires or develops capital projects to create energy solutions for North America’s sustainable energy future. An ALLETE company (NYSE:ALE), ALLETE Clean Energy owns, operates and is building wind farms in five states with a total capacity of more than 500 megawatts. ACE has acquired and completed build-transfer of seven wind farms in Iowa, Minnesota, Oregon Pennsylvania and North Dakota since 2014. Over the past year, ACE has developed and secured a backlog of nearly 450 MW of new wind power sales agreements, build-transfers and refurbishments. 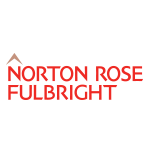 Katten Muchin Rosenman LLP is a firm of first choice for clients seeking sophisticated, high-value legal services in the United States and abroad. Our nationally recognized practices include Commercial Finance, Corporate, Environmental and Workplace Safety, Financial Services, Insolvency and Restructuring, Intellectual Property, Litigation and Dispute Resolution, Real Estate, Structured Finance and Securitization, and Trusts and Estates. 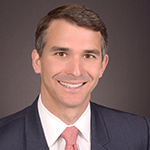 Our more than 600 attorneys serve public and private companies, including a third of the Fortune 100, as well as a number of government and nonprofit organizations and individuals. We provide full-service legal advice from 13 locations in the United States, the United Kingdom and China. We forge partnerships with our clients based on our legal creativity and business practicality—always making our priority how best to serve our client partners. Our clients see us as trusted advisors and we demonstrate our value every day, through our collaborative and goal-oriented approach and, of course, the successful results we achieve. Our leading practices and attorneys have been recognized in Chambers & Partners guides, Best Lawyers in America®, U.S. News – Best Lawyers® “Best Law Firms” and The Legal 500, among others. Luminate provides comprehensive wind resource consulting and independent engineering services in support of wind power project financing. We combine extensive independent engineering and project finance experience with highly focused experience and capabilities in wind energy, resource consulting and turbine technology, provided in seamless fashion. From development advisory to resource and technology consulting to independent engineering services in support of feasibility, development, M&A, and financing, we bring extensive experience with the major turbine manufacturers and generation throughout North America. Using renewable energies more efficiently and forwarding the energy revolution: This is the principle behind Max Bögl Wind AG with its innovative technology solutions. The company is Germany’s market leader in manufacturing, delivering and erecting hybrid towers and holds the record for the world’s highest wind turbine tower with a hub height of 178 meters. Thanks to mobile manufacturing, the production of concrete elements are possible at almost any location in the world. Max Bögl Wind AG is an affiliate company of Max Bögl. The corporate group from Sengenthal near Neumarkt in Bavaria is one of the top 10 largest German companies in the construction industry and has built more than 1.800 Hybrid Towers since 2010. 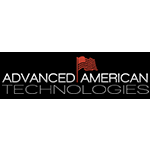 Advanced American Technologies is a composites material manufacturing and supply company with a prioritized interest in providing solutions for the government. We are located in both Huntsville AL, Oak Ridge TN, and headquartered out of Knoxville TN. We are a certified SDVOB and aim to be a sought-after employer of fellow transitioning disabled veterans. Our current market interests and capabilities are in the development of scalable advanced ballistic protection, radiation/EMI/EMP shielding, renewable energy, marine applications, automotive, aerospace, construction, thermal insulation products, aluminum repair kits, coatings, and material supply. We offer a captive insurance solution that will help “Turn Your Insurance Premiums Into Profits”. These profits go straight to your bottom line. The Renewable Energy Captive is a captive insurance company created to provide a Workers’ Compensation, General Liability and Auto Liability insurance alternative for business owners engaged in the renewable energy industry. The members of the captive have successfully created a program where the members take control of their insurance program. 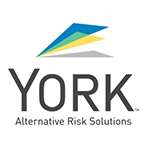 When you own your insurance company, risk management is tailored to meet your needs, not those of an insurance company. This is accomplished by working directly with claims adjusters, defense attorneys, and other service providers to strategize the handling of claims, to minimize the cost of Workers’ Compensation to your business from day one. Members have the ability to recoup up to 60% of their paid in premium, based on their company’s loss experience. 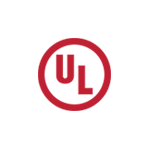 BarclayHedge is a leading independent, research based provider of information services to the alternative investment industry. 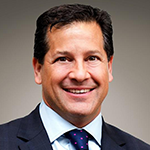 Founded in 1985, no other firm has been in the alternative investment database business for as long as we have. 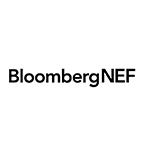 Barclay began publishing fund data for CTAs and hedge funds in 1989 and currently maintains data on more than 12,000 alternative investment vehicles. BarclayHedge provides access to its hedge fund, fund of funds, and managed futures databases to thousands of investors worldwide in Excel, Access, and formats compatible with most third party analysis packages. Barclay’s 18 hedge fund indices, 10 managed futures indices, and 7 UCITS indices are universally recognized as alternative investment performance benchmarks and are utilized by investment professionals around the globe.